A group of top NASA scientists told the space agency's chief yesterday that the forthcoming generation of space telescopes are likely to discover habitable Earth-like worlds and probably alien life – perhaps within 20 years. "Sometime in the near future, people will be able to point to a star and say, 'that star has a planet like Earth'," said Sara Seager, professor of planetary science and physics at MIT. "Just imagine the moment, when we find potential signatures of life," concurred Matt Mountain, a top space telescope boffin. "Imagine the moment when the world wakes up and the human race realizes that its long loneliness in time and space may be over - the possibility we're no longer alone in the universe." 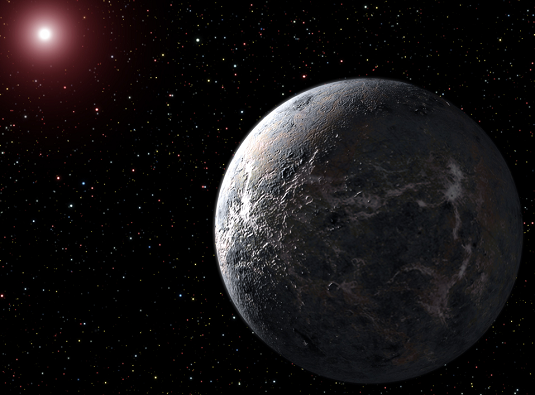 “I think in the next 20 years we will find out we are not alone in the universe,” added NASA astronomer Kevin Hand. The assembled boffins were excited about the near future, in particular at the prospect of the James Webb Space Telescope's deployment to the Earth-Sun L2 point, far beyond the Moon's orbit, where – among other things – it will be able to probe the atmospheres of far-flung exoplanets circling other suns. The mighty JWST, a collaboration between NASA and international allies, is currently planned to lift off in 2018. Other exciting developments in the field of exoplanetology are to include the proposed Wide Field Infrared Survey Telescope - Astrophysics Focused Telescope Assets (WFIRST-AFTA) early in the next decade, and the Transiting Exoplanet Surveying Satellite (TESS) in 2017. These various space observatories will to a large extent be carrying out in-depth investigation of exoplanets previously discovered by other means such as the Kepler spacecraft. "This technology we are using to explore exoplanets is real," enthused John Grunsfeld, a physics PhD and veteran astronaut with five Shuttle flights logged, now employed as a NASA science chief. "The James Webb Space Telescope and the next advances are happening now. These are not dreams - this is what we do at NASA." The head of NASA himself, Charles Bolden (a former shuttle pilot and US Marine general) ranged himself firmly alongside his top boffins in the aliens-are-surely-out-there camp.